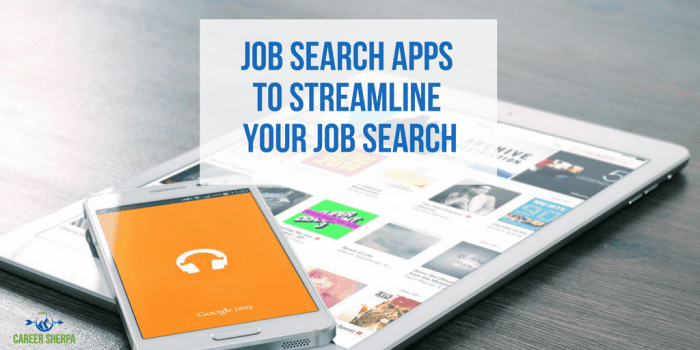 If you rely on your phone or mobile device to manage your life, then you’re probably looking for job search apps to help make your job search easier. 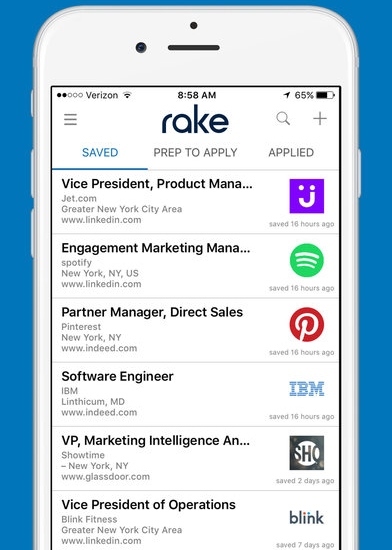 Here’s a list of 6 job search apps for your mobile device. Let me start off by saying, relying on your phone to conduct job search is dangerous. Typos, carelessness and clumsy fingers introduce errors and those errors can hurt your chances as a candidate. With that warning out of the way, these free job search apps serve a variety of functions from finding and applying to jobs to saving and tracking your progress. There’s even an app to help you find people to network with. Almost all have apps on iTunes and Google Play, so you can use the app on your iPhone, iPad or Android device. Almost all the job boards have an app these days. Invest your time using the boards that have the right jobs for you! If you need help finding job boards, check out my 50+ Best Websites for Job Search 2017 list. 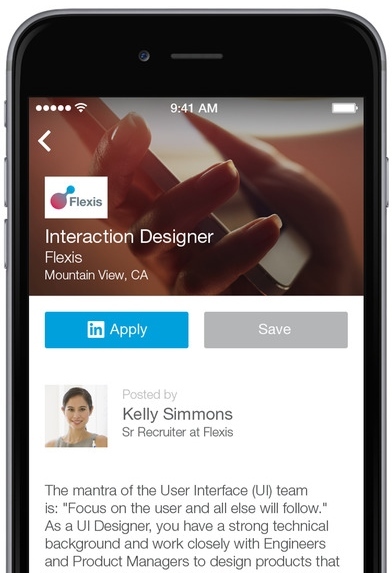 LinkedIn’s job search app is separate from the regular LinkedIn app and needs to be added to your device. 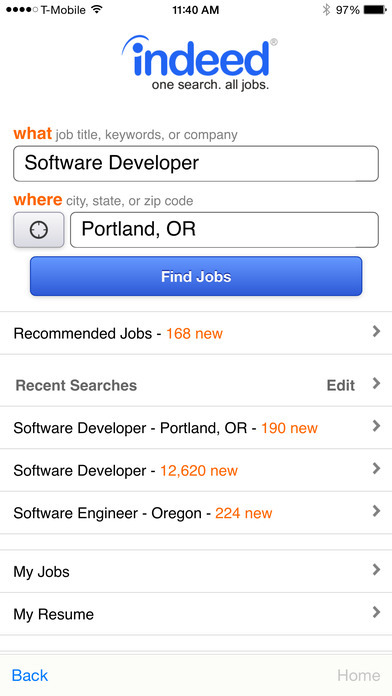 You can search for jobs, create alerts, save jobs and apply for jobs. The good news is your activity syncs with your desktop version. LinkedIn created a list of FAQs you can find here. You should already be using Indeed as one of your job search tools. It’s one of the top sources employers use to find candidates. 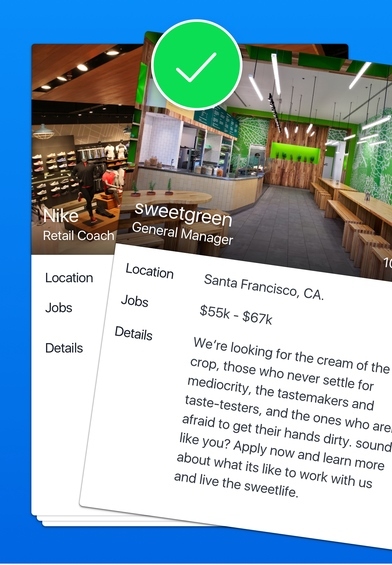 With the Indeed App, you can save searches, save jobs you want to apply to later, keep track of where you are in the process and write yourself notes. To learn more about the basics of using Indeed, here’s a link to their job seeker support center. There is probably a mobile version or app for your favorite job board. Rather than list tons of job apps here, I recommend you check out the board’s site and see what they offer. 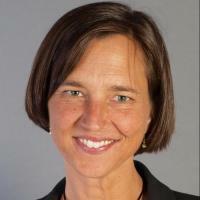 Check out Simply Hired, CareerBuilder, Glassdoor. As you know, job search is about WHO you know. Using an app to help you find people to connect with is a great use of your valuable job search time. Remember, most companies prefer to hire a referred candidate! You know how job boards work. You apply, wait, wait, wait, and then maybe you’ll get a response. The apps listed below are less cumbersome for the recruiter/company. If they like your profile, these apps make it easier for them to email or message you. 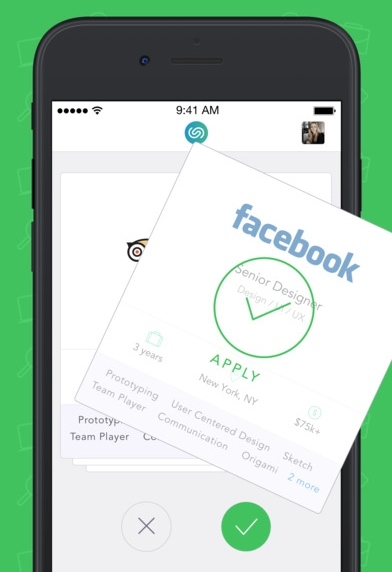 Jobr is known as the “Tinder for Jobs” and was purchased by Monster in 2016. It allows you to swipe jobs you are interested in. You can either search for jobs or Jobr will pull jobs based on your profile information. When you swipe right, you apply to the job you are interested in, which uses the information in your profile. To learn more about how Jobr works, visit their FAQs page. Switch Job Seeker App is similar to Jobr. The main difference is in the types of jobs available. At this time, you will mostly see jobs in tech and media companies. When you find a job you are interested in, simply swipe right to send your Switch profile directly to the company (or swipe left to pass). When you swipe right to “like” a job, the hiring manager of a job you liked can connect to you directly via email or chat. And don’t worry, Switch will not show you jobs by your current employer – nor will they be able to see your profile. When you apply for jobs using different job boards and apps, it can be difficult to keep track of everything. Rake fixes this. It streamlines your job search activity in one place. Save jobs from any job board or career site to the app, prepare applications (complete with to-do lists and notes), and track applications by setting follow-up reminders. It also syncs with the desktop version. There is a Chome plug-in that allows you to save jobs you find anywhere as well! To learn more, you should visit Rake’s FAQ page.